The culmination of the Dravidian style is to be seen in the period of the Nayak Rulers of Madurai who continued the building style and technique of the Pandyas and improved on it.The Nayak dynasty emerged in South India after the downfall of the Vijayanagara Empire in 1565, when the Nayak military Governors declared independence and ruled from the 16th to 18th century. The Nayak architectural style was characterised by elaborate hundred-and thousand-pillared mandapas, the high gopurans with painted stucco statues on the surface and long corridors. The Nayak dynasty is also known for its mural and wall paintings. Tanjor paintings from this time are known for their surface richness, vivid colours and compact composition. • The lofty gopurams embellished with figures in their minute detail. • The closed Prakramas with huge pillars on either side. • The beautiful corbel brackets as in Ramanatha temple in Rameshwaram. • Full sized figures of animals and riders on rearing horses in the Srirangam temple. 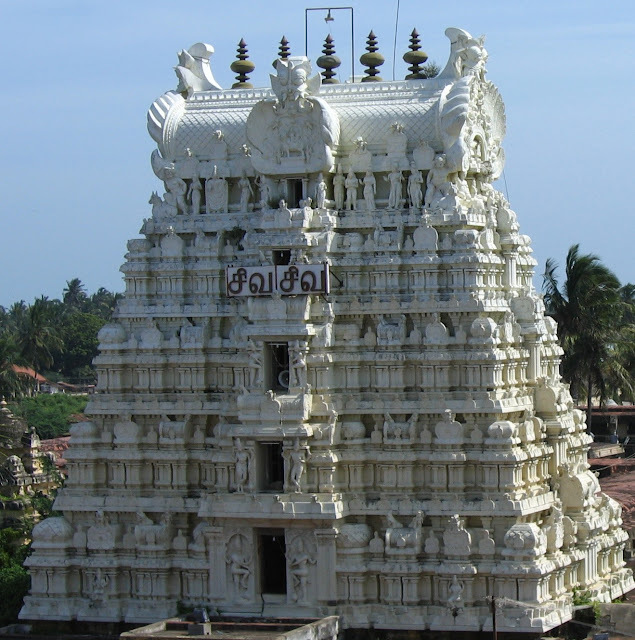 It was built by the Nayak rulers and is the most beautiful example of the 17th century style of temple architectur. Containing two separate sanctuaries- One dedicated to Sundareswara and other to his consort, Meenkshi, the temple is a massive structure and is enclosed by four walls with four large gopurams. The gopuram of nine storeys is ornamented with elaborate sculptures. On the top is a vaulted roof. A water tank in front and large pillared halls are its other features. Sometime during the 10th century, the Cholas raided and captured Madurai, thus ending the golden age of the Pandya rule. However, by 1223 CE, the Pandyas returned to Madurai’s throne and the growth of Madurai continued afresh. The Pandya kings took a keen interest in art and architecture, as well as the development of the Tamil language. 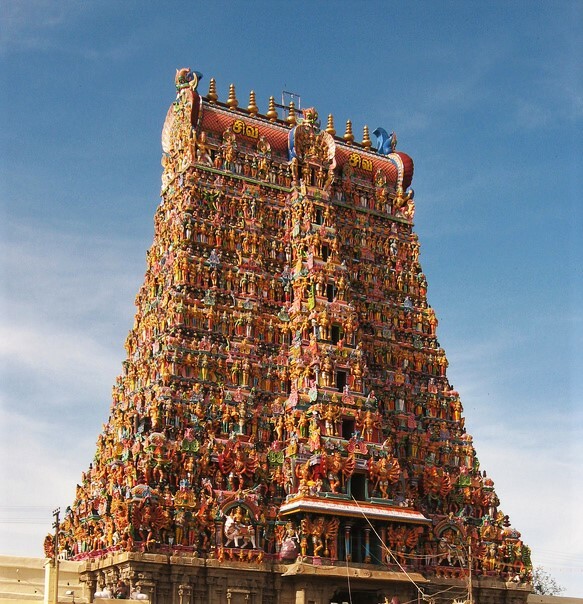 Madurai or the city of nectar is the oldest and second largest city of Tamil Nadu. Located on Vaigai River, Madurai once was the capital of Pandyan rulers. The Pandyan King, Kulasekhara had built a gorgeous temple around his lotus shaped city. It has been a center of learning and pilgrimage, for centuries. • High Pyramidal Vimanas full of sculptures and decorations. It is the most elegant example of the Dravidian architecture. This temple was originally built by the Pandyan King Kulasekarer Pandya. It is an excellent architecture, a master piece which is the center of activity for the promotion of art and culture in Madurai. It is the chief attraction of the city and pilgrims gathered here in the search of spirituality and peace. There are wonderful views of stone carved sculptures of different deities on the wall of temples. The temple is dedicated to the Goddesses Meenakshi (Parvati) and to the Lord Sundareswara (Shiva).